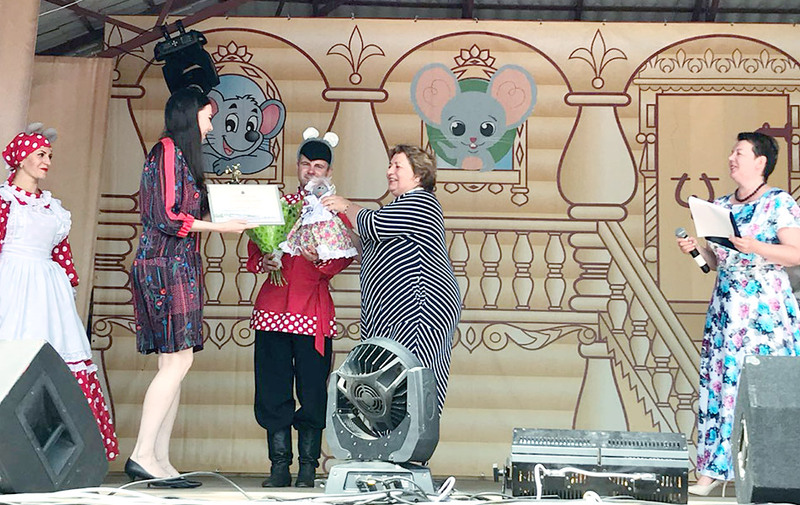 Myshkin town awarded the animated series Fantasy Patrol the Golden Mouse prize! 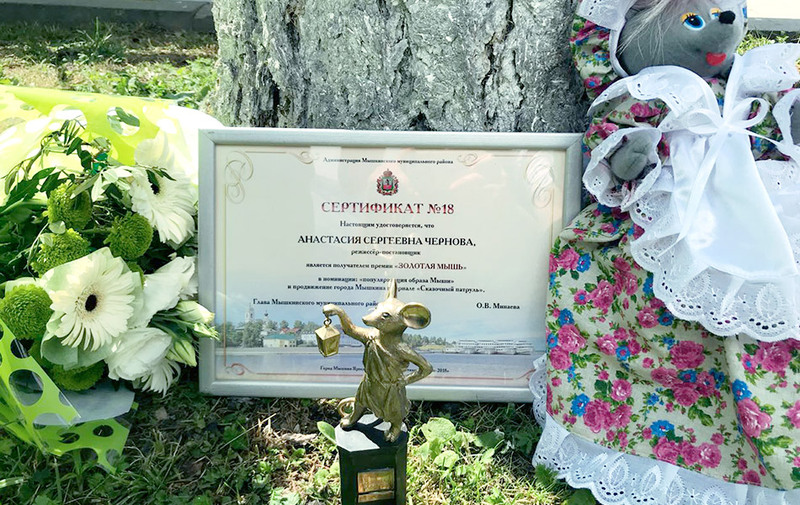 This is the main award of the town for special contribution to its prosperity, and also to literature, music, theatre, cinema, and other art forms related to Myshkin! 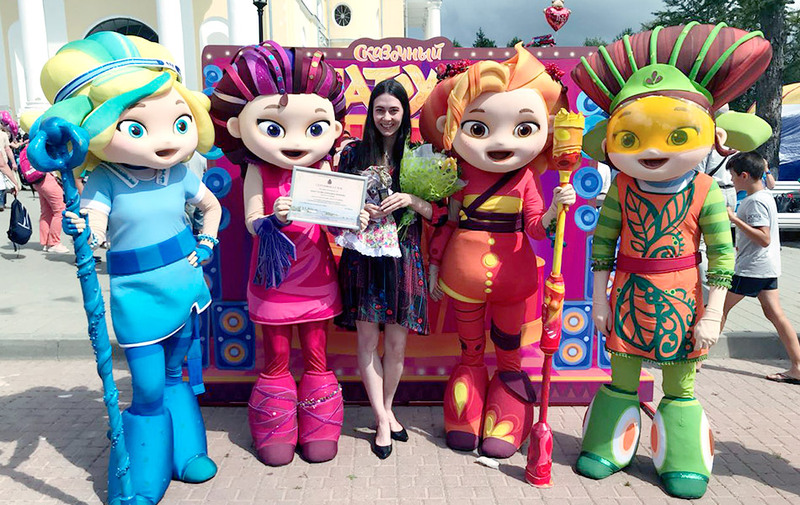 The prize was given to Anastasiya Chernova, the producer of the animated series. Myshkin is quite fast developing in the field of tourism. The flow of tourists in 2017 reached 195000 of people, 275 motor ships and 1600 buses visited the town. Meanwhile, the town has only 5700 residents. Thus, It is more than 30 tourists for 1 resident. The Mouse festival is one of the key events of the year, and this day the town becomes even more attractive for tourists! It is here, in Myshkin town, the action of the Fantasy Patrol animated series takes place. The series is produced by Parovoz studio and adapted by Digital Television for international screening. The premiere took place on Russian TV channels MOOLT, ANI, and Tlum HD in May 2016. Its TV audience has a total of tens millions of people. The cartoon has become one of the main hits of 2016 on Youtube. Today the series is translated into 10 languages and keeps winning hearts of audience in Europe and Asia. Publishing house Interactive Moolt released three games for IOS and Android based on story of fairies. In 2017, Fantasy Patrol has reached the final of contest at Annecy International Animated Film Festival in France. It received Russian national animation prize Ikar for winning in Startup nomination. The series was chosen to participate in Shanghai International TV Festival. It was rewarded with a prestigious prize CYBER SOUSA at Xiamen International Animation Film Festival in China. 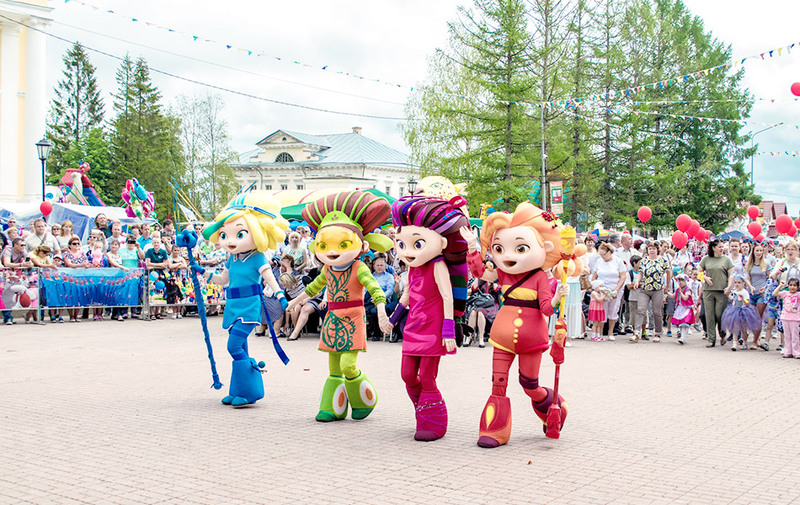 In 2018, Fantasy Patrol won four Multimir prizes: as the best series in jury’s opinion, for the best female character (Snowy) in audience’s opinion, for the best song (Believe in Yourself), and for the toy of the year (dolls by Gulliver company). And now — the Golden Mouse prize! Parovoz animation studio expresses appreciation and love to the town of Myshkin!